The Co-operative Group is to double the number of its convenience stores over the next five years and is cutting grocery prices as it becomes the latest retailer to enter the supermarket war. 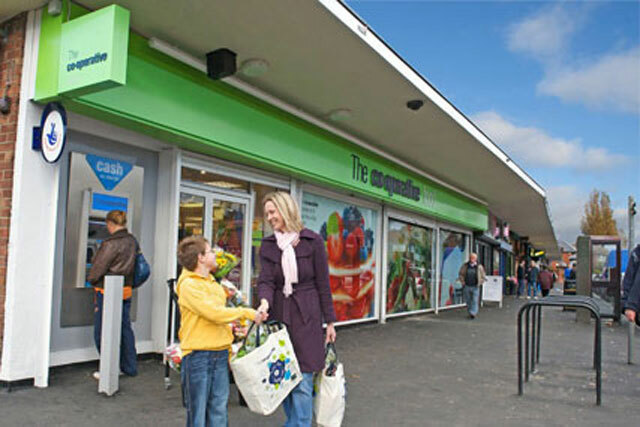 The Co-op currently operates across 2,800 stores in the UK, 2,000 of which are convenience ‘format. Steve Murrells, its chief executive, said the group had "aspirations" to double the number of convenience stores, with at least 150 new openings each year. Plans are also in place to refurbish existing stores and sell some its larger ones; while "millions of pounds" will be invested in price cuts. The Co-op is the latest supermarket to announce measures to become more competitive, following on the heels of Tesco and its rivals. The retailer is trialling its "Generation Two" store format, which includes in-store bakeries and on-the-go items, in 20 stores and plans on rolling it out to a third of its estate by the end of the year. Murrells said the trials had resulted in double-digit growth in like-for-like sales. He added: "Across the range [of stores] we're not big enough to compete against a Tesco or a Sainsbury's, but in the space of convenience, we believe that we can lead the pack." The announcement comes just weeks after the group said it is asking its customers to shape its future, after its banking arm was hit by various scandals last year. Co-operative is the UK’s fifth-largest supermarket chain. Tesco recently announced its new strategy, which included a £200m investment in price cuts and plans to launch a digital version of its Clubcard. Co-op has a 6.2% share of the market, after Tesco, Sainsbury’s, Asda and Morrisons. Last week, the Co-op said it was selling its farming business and looking to hive off its pharmacy business.